Ready to explore the brand new iOS 12 update and what it has to offer? While there’ plenty of fun, fluffy features, we won’t be looking at those today. 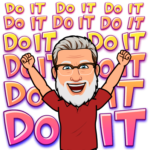 Instead, we’ll look at some of the new (and some improved) security features, safety features, and massive productivity increases built into it. 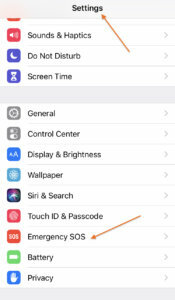 You can find the Emergency SOS under Settings. 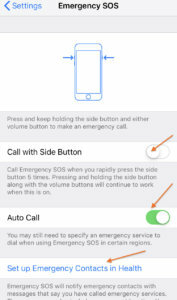 It creates a shortcut on your phone you can use to contact emergency services by rapidly pressing the side button five times. This is for serious situations only– when you need to call over an ambulance or the police. In those situations, your phone can also use location tracking to tell emergency services where you are. You can set up Emergency contacts in the health menu so that your emergency contacts will receive a text message notifying them what happened if you ever do need to call in. 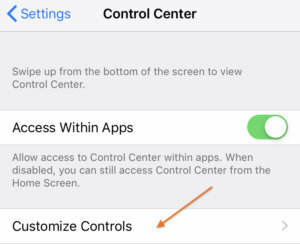 Just like in the previous updates, to customize your Control Center panel go to Settings and click on Control Center. In the Control Center menu, click on Customize Controls. 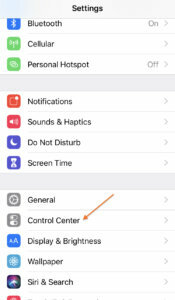 From here, you can add or remove various controls to your Control Center. While the controls I want to talk about aren’t all new, they are great for safety and security. You can organize your Control Center by dragging and dropping the different controls where you want them. Let’s look at some key ones. This stops any messages distracting you while you’re driving. Instead of notifying you, you can set your phone up to send an automatic reply to the person who’s trying to reach you, letting them know you’re driving and will get back to them when you’re done. You can turn this feature on and off in the Control Center or set it to automatically recognize when you’re in a car. To adjust your settings, go to Settings and then click on Do Not Disturb. The magnifying glass uses your phone’s camera to magnify what you’re looking at– it’s great for reading small print or restaurant menus. Hearing is hearing assist tool you can turn on when you plug your earbuds in. It turns on a live listen feature which listens to the room around you. It then filters out extra noises and segments voices out to help you hear people more clearly. 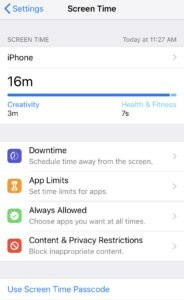 Screen Time tracks the way you spend time on your phone. It charts all of your activities and helps you understand how much you use your phone, how often you check it, and what you do on it. It’s a handy way of understanding your own habits. 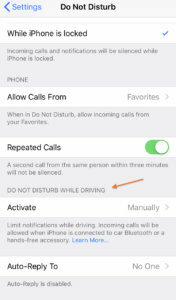 If you’re worried about phone addiction, this feature can really help you limit and manage your phone use habits. 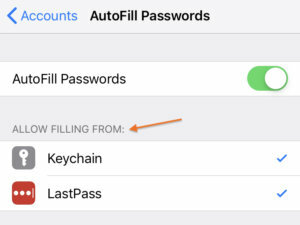 Historically, Apple hasn’t done the best job of letting you manage passwords for external accounts. However, the iOS 12 update changed that. 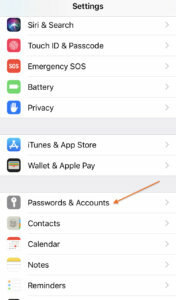 Open up your Settings and scroll down to Passwords and Accounts. 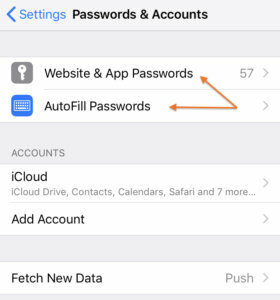 You’ll see two new things: website and app passwords and AutoFill passwords. Your phone remembers certain passwords and you can manage those through Website & App Passwords. But this isn’t the biggest change. 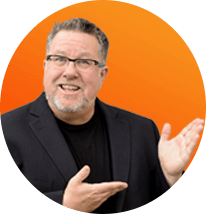 If you’ve used a third-party password management tool in the past, you know how hard proper integration was. Now, Apple’s made it really easy. Your third-party password manager natively integrates with your phone, making everything run smoothly. 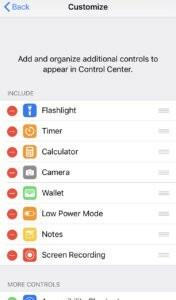 This post just scratches the surface of some of the new features in the iOS 12 update focusing on safety, security, and productivity features. There’s a lot more to discover. What’s your favorite iOS 12 feature? Let me know in the comments below!